In his autobiography and letters the Irish poet W.B. 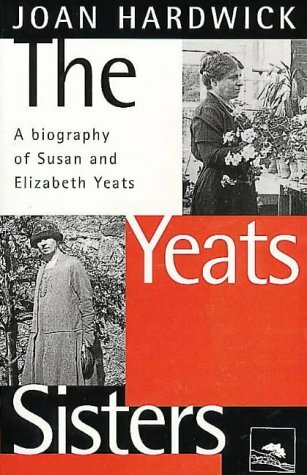 Yeats gives the impression that he had one rather shadowy sister somewhere on the fringes of his life. In actuality the poet was for many years largely dependent on his tow sisters, Susan (Lily) and Elizabeth (Lolly). The family home in which he lived was for very many years sustained only by the earnings of Lily, who worked as an embroiderer for May Morris, and Lolly, who taught in a kindergarten and gave lessons in painting. Joan Hardwick's insightful and carefully researched biography revels not only the artistic talents of these women - one a remarkable embroiderer, the other a skilled painter, teacher and printer - but also their great resourcefulness. With determination and acumen they achieved an unusual financial independence by means of their business Cuala Industries, at a time in Irish history when attempts at female self-determination were at best tolerated, and more often derided. Lily and Lolly were woemn of exceptional creativity, generosity and courage. History' focus on their father, the painter John Butler Yeats, their brother Jack, who was also a painter and on their brother William, the poet, has done them a great disservice.